We are about to be entering a deep freeze here in Chicagoland and there is no way I will be doing grilling of any kind. Between the massive amounts of snow we have had and the approaching sub zero temps it is safe to say my grill will not be seeing much use for a while. I love BBQ and I had some baby back ribs in the freezer that I bought while on sale a few weeks ago. I decided to give in to my bbq craving and make them in the crock pot. Well, they were BEYOND good. My husband kept saying how much he liked them and my toddler ate some too! Spray the bottom of your crock pot with non stick cooking spray. Mix the dry seasonings together and sprinkle over ribs. Drizzle with honey. 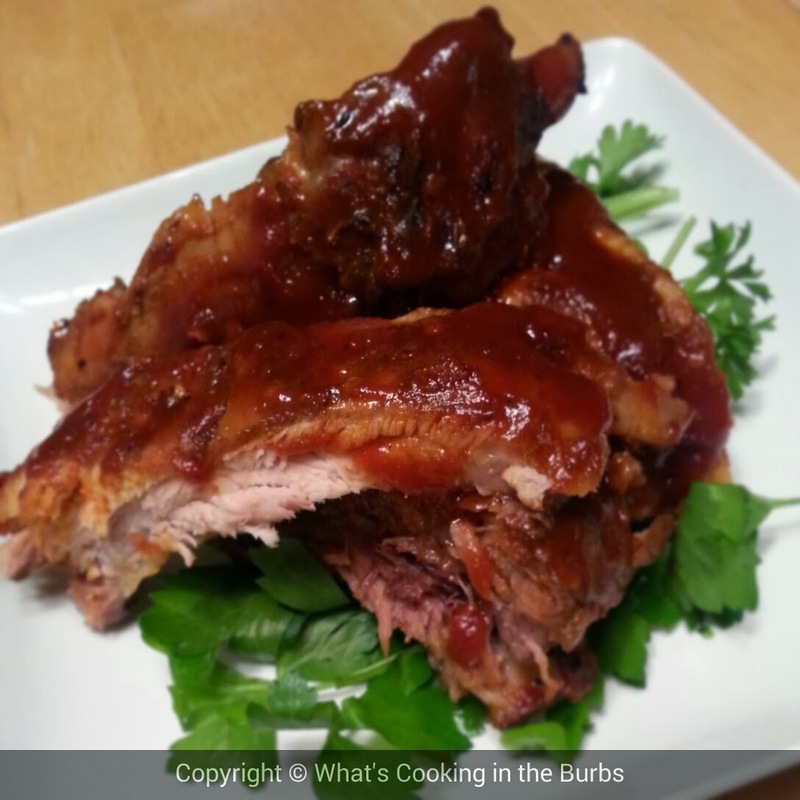 Place ribs in crock pot and top with liquid smoke. Cover and cook on low 6-8 hours. During last 30 minutes of cooking cover with bbq sauce. Continue cooking until sauce is warm. Enjoy! These look scrumptious! Would country ribs work instead of baby back? These look amazing! Baby back ribs were always what I picked as my birthday dinner when I was a kid. I don't have a grill at my apartment so I can't wait to try these! I love liquid smoke when cooking ribs too. These look so yummy! Thanks for sharing at Simple Supper Tuesday. What a great alternative to grilling! Thanks for sharing and linking up to What'd You Do This Weekend. Pinned :-) Hope y'all are keeping warm in this freeze. I love crock pot meals. I can't wait to try this one out. Hope you're staying warm! Thanks for linking to the In and Out of the Kitchen Link Party. Hope to see you next week.